Many dental insurance plans provide coverage for two checkups a year at six-month intervals. So, if you haven’t had a cleaning in the last six months, now is an excellent time to schedule an appointment with Marquis Dental Center. If you’re getting close to your annual maximum, Dr. George Marquis and Dr. Doris Marquis can help create a plan to maximize your benefits by splitting your treatment between this year and next, allowing you to use the benefits you have remaining this year and take advantage of your renewed benefits after the new year. 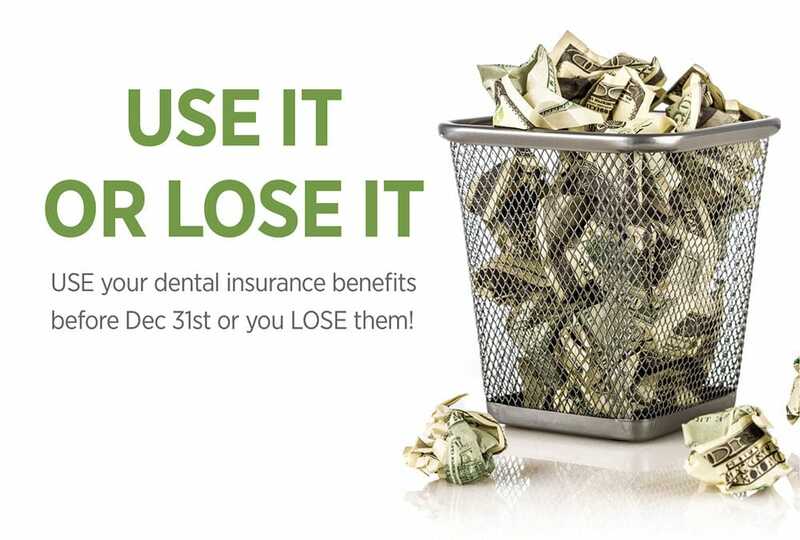 Don’t let your 2018 dental benefits go to waste by making sure you use them before December 31. Schedule an appointment with Marquis Dental Center today to get started.